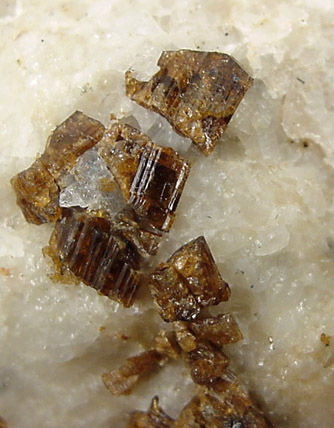 Description: Elongated specimen of Inwood Marble with many large brown dravite crystals. 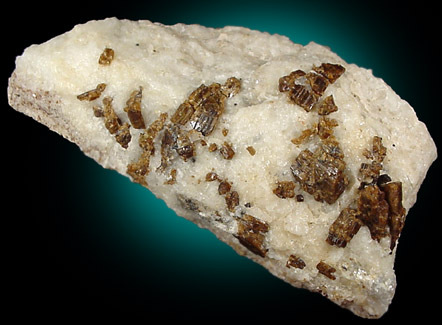 The dravite crystals formed first, then were deformed during metamorphosis, often fracturing them while frozen in marble. 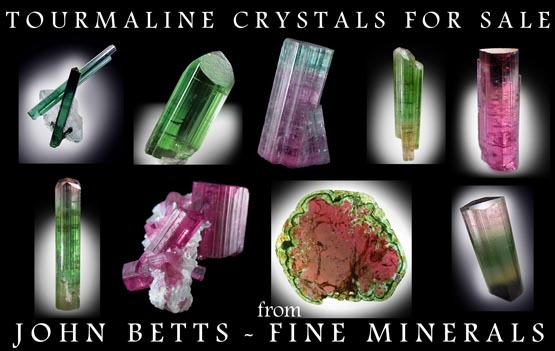 Good large crystals.